The gods knew that the decisive moment that would end the royal rivalry had arrived. They watched in dismay as the inevitable end of a grand era fast approached, yet hopeful that in the end, dharma would stand triumphant. Would the stalwarts Bhishma and Drona survive to see the end? And what of Karna? Where would his loyalties lie? With his true friend, Duryodhana or with his true brothers, the Pandavas? Lord Krishna, the ninth avatar of Lord Vishnu, descends on earth with the sole purpose of preserving dharma in his seemingly humble role as Arjuna’s charioteer. On the day of the battle, a confused Arjuna questions the motives behind the war. 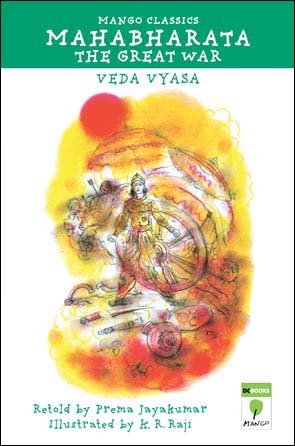 Krishna counsels a distraught Arjuna and reveals the ultimate truth about karma, life, death and fate in this battlefield discussion – the Bhagavad Gita. The quintessence of Indian culture that has influenced the world! In the last of the three-part series, the great war in the battleground of Kurukshetra takes place.